Dr. Jake Ross, a university astronomer, wants nothing more than to teach a few classes each semester and continue his research. Instead, he finds himself aggressively recruited to be the science advisor to Frank Tomlinson, an ambitious politician with his eye on the US Senate. Tomlinson is in need of an edge that will allow him to defeat his opponent at the polls, and Dr. Ross can contribute just that: MHD. MHD, or magnetohydrodynamics, is a new innovation that will allow electricity to be generated efficiently and cheaply. The Senate seat is essentially guaranteed if Tomlinson can deliver unlimited energy to voters at less than half the price of nuclear power. But MHD is still in its infancy, and although the outlook is extremely promising there are great—and deadly—risks. The incumbent senator will not give up his seat without a fight, and as Ross discovers, the world of politics carries its own dangers. Nothing has prepared him for the extreme tactics that desperate and powerful people are willing to use. 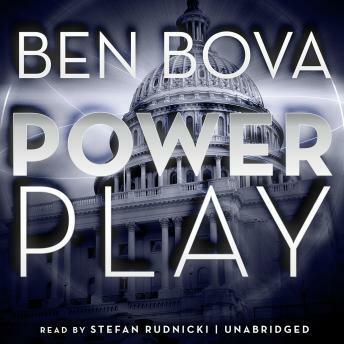 Power Play is a timely thrill ride by Ben Bova, one of science fiction's most respected novelists.